Assassin’s Creed Syndicate didn’t make the best impression on me at E3. While Zoe quite liked it, I found it to be all too familiar with a few steps backwards in some departments. Combat is as simplistic as ever, and although the zipline does make for faster rooftop traversal, it doesn’t always work as you’d expect it. Sitting down with Francois, Senior Producer on Syndicate, I explored some of the reasoning behind the change to Industrial Revolution London, as well as the inclusion behind some of the game’s headlining features. It does seem that Ubisoft want to change the formula is small ways, but seem far too set on keeping the core Assassin’s Creed experience intact. For a game that’s still selling millions upon millions year on year, it’s tough to see why they’d change – but it does run the risk of fatigue that the series has already been accused of for several years now. 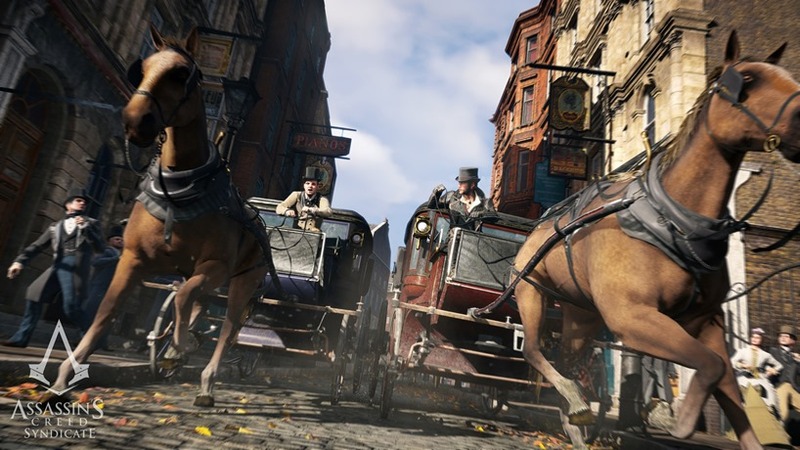 The zipline and deadly carriages are all great additions that help the game feel as though it’s moving at a quicker pace, but from what I played they do little to mask the tedious, identical stealth combat – which can’t make up for the one button mash combat. Ultimately, I’m less excited for Syndicate than any other Assassin’s Creed yet – despite my overwhelming desire for it to be a better stepping stone for the franchise as a whole.